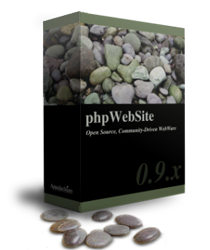 phpWebSite provides a complete web site content management system. Web-based administration allows for easy maintenance of interactive, community-driven web sites. phpWebSites growing number of modules allow for easy site customization without the need for unwanted or unused features.